Bellator’s 2019 campaign has started well, as it’s being reported last weekend’s Bellator 214 card drew the biggest ratings the promotion’s had in a year. 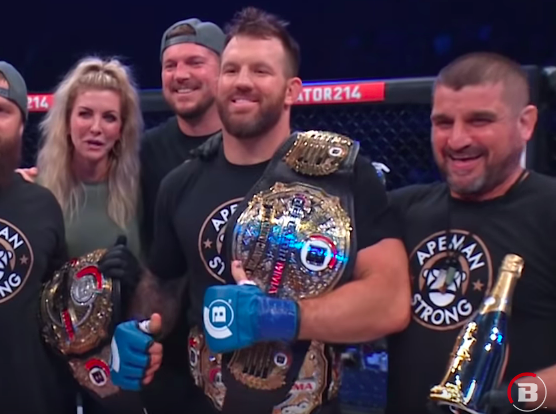 The January 26th card, which featured Ryan Bader quickly taking out Fedor Emelianenko in the finals of Bellator’s heavyweight grand-prix, averaged 697,000 viewers (numbers via MMA Fighting). That average rating is the higest for Bellator since January 20th, 2018, which featured Chael Sonnen earning a decision over “Rampage” Jackson. The main event between Bader and Fedor drew an impressive 1.2 million viewers. Bellator 214 also included rising star Aaron Pico getting knocked out by Henry Corrales, and the MMA debut of former WWE star, Jack Hager (who submitted J.W. Kise). Bellator 214 was aired on the Paramount Network and it was also streamed on DAZN.